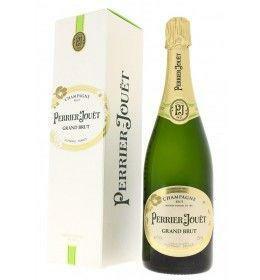 Grand Brut is a perfect introduction to the floral style, intense and sophisticated character of Maison Perrier-Jouët. Born in 1856, it is the first Brut Champagne created by the maison. It is one of the most tasteful champagne in the world, which rest for at least three years on yeasts. Amplitude and liveliness find balance on the palate, prolongs in an expression of round and crisp elegance. THE WINE The Grand Brut is a perfect introduction to the floral style, intense and sophisticated character of Maison Perrier-Jouët . Born in 1856, it is the first Brut Champagne created by the maison. It is one of the most tasteful champagne in the world, which rest for at least three years on yeasts. Amplitude and liveliness find balance on the palate, prolongs in an expression of round and crisp elegance. THE HOUSE Two centuries of traditions are a precious baggage, represented by a true craftsmanship savoir-faire that is passed on from generation to generation since 1811. It is precisely on this date that the spouses Pierre-Nicolas Perrier and Adèle Jouët founded the Maison Perrier-Jouët , which counts today 65 hectares of vines, almost totally classified at the top of the Grand Cru scale. As a pioneer in traceability and counterfeiting, Maison Perrier-Jouët was the first winery to make the vintage of its millesimate bottles. Among the rows, careful and forward-looking choices are all about obtaining valuable and excellent grapes, and the fruits harvested in the five major cruces of what is called the "magical champagne triangle" - composed of Cramant, Avize, Mailly, Aÿ and Dizy - they are present in all those who are the cuvée of the maison. 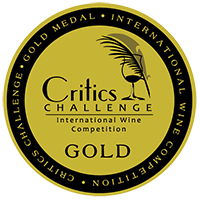 Chardonnay bouquets with generous and aromatic scents, then pinot black, fresh and delicate, and pinot meunier, generous and fruity, are worked in the cellar without looking for shortcuts, pursuing the highest quality level without ever compromising. From "Grand Brut" to "Blason Rosé", up to the millennium "Belle Epoque", producing Champagne punctually distinguished by refined, intense and sought-after style, the company offers a range of unmistakable labels, characterized by a wide aromatic persistence elegant. All this is the result of knowledge transmitted over time and in the silence of the cellars, where the chefs of caves have cultivated and increased an important know-how that, as is not enough, is often enriched and embellished by internationally renowned artists who starting in 1902, they decorate with their works the bottles that retain the most important cuvée of the maison, almost as a celebration of Champagne tasting in a kind of marriage that combines art, poetry and beauty of everyday life. Tasting Color: brilliant straw yellow with fine and persistent perlage. Bouquet: delicate, floral and fruity fragrances, notes of butter and vanilla and citrus nuances. Taste: fresh, round and vinous, broad and lively. 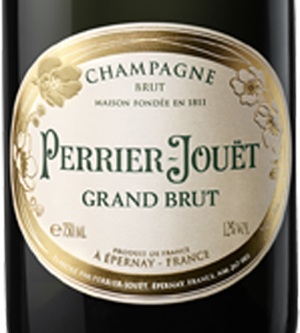 The Grand Brut is a perfect introduction to the floral style, intense and sophisticated character of Maison Perrier-Jouët. Born in 1856, it is the first Brut Champagne created by the maison. It is one of the most tasteful champagne in the world, which rest for at least three years on yeasts. Amplitude and liveliness find balance on the palate, prolongs in an expression of round and crisp elegance. Two centuries of traditions are a precious baggage, represented by a true craftsmanship savoir-faire that is passed on from generation to generation since 1811. It is precisely on this date that the spouses Pierre-Nicolas Perrier and Adèle Jouët founded the Maison Perrier-Jouët , which counts today 65 hectares of vines, almost totally classified at the top of the Grand Cru scale. As a pioneer in traceability and counterfeiting, Maison Perrier-Jouët was the first winery to make the vintage of its millesimate bottles. Among the rows, careful and forward-looking choices are all about obtaining valuable and excellent grapes, and the fruits harvested in the five major cruces of what is called the "magical champagne triangle" - composed of Cramant, Avize, Mailly, Aÿ and Dizy - they are present in all those who are the cuvée of the maison. Chardonnay bouquets with generous and aromatic scents, then pinot black, fresh and delicate, and pinot meunier, generous and fruity, are worked in the cellar without looking for shortcuts, pursuing the highest quality level without ever compromising. From "Grand Brut" to "Blason Rosé", up to the millennium "Belle Epoque", producing Champagne punctually distinguished by refined, intense and sought-after style, the company offers a range of unmistakable labels, characterized by a wide aromatic persistence elegant. All this is the result of knowledge transmitted over time and in the silence of the cellars, where the chefs of caves have cultivated and increased an important know-how that, as is not enough, is often enriched and embellished by internationally renowned artists who starting in 1902, they decorate with their works the bottles that retain the most important cuvée of the maison, almost as a celebration of Champagne tasting in a kind of marriage that combines art, poetry and beauty of everyday life.